Revenue management is one area that is evolving rapidly to keep pace with an increasingly technologically complex hospitality environment. To get some insights on the future of revenue management and new best practices for hoteliers, we spoke with Nick Molitor, the Director of Account Management at IDeaS, the global leader in revenue optimization technology. Nick, the topic of (big) data in revenue management is a hot one in the hotel industry these days, but it seems that many hotels are still struggling with the concept of data collection and using the right data to improve the hotel’s strategy. Can you break it down for us? Data presents a tremendous opportunity for hoteliers to improve their decision-making around revenue management (and sales, and marketing), but it’s only useful to the degree that you can harness and leverage the data in a meaningful way. This means being selective. The challenge big data presents isn’t so much of a quantity problem, but a quality problem. It’s about finding the data that is the most relevant – and the most reliable – to your hotel. A hotel struggling with Big Data needs to first set realistic expectations for themselves. A hotel using an analytics platform, like IDeaS, can expect to handle more data than a hotel that isn’t. In either case, data quality is the key concern. To successfully navigate through the data, a hotelier needs to understand the degrees of reliability the data provides – and think of data in context of the customer journey. Take regrets and denials for example. This is data people have been using forever, and some in the industry are lionizing it as essential to calculate price sensitivity. But we need to think about when it’s being collected – either on your website or on the phone. Research from Cornell tells us that by the time the customer has come to your website, they’ve already decided your hotel is in their price range, and now they are looking to justify the value. They’re looking at photos, descriptions and reviews to decide if they’re going to purchase. If you get a regret, perhaps it’s because you have bad photos, or someone wrote a bad review. You may have a marketing opportunity, not a pricing opportunity. If you’re using regrets and denials for price sensitivity, it’s not always an accurate representation. So we need to really be careful about generalizing the customer experience with big data, and make sure to appreciate that guests are looking at different things at different stages of their buying process. We need to be more critical of that when we look at data. What is your take on personalized pricing based on guest profiles? There are aspects of personalized pricing that provide great opportunities for hoteliers, and aspects that can be very damaging to overall revenue and profitability. There are two flavors of personalized pricing: proactive and reactive. Proactive is where a hotel sends out personalized offers to guests to entice them to book a trip; reactive is where hotels offer personalized rates to guests who have already shown interest in staying at their hotel. From a proactive perspective, personalized pricing is a great way to entice your high value guests to stay with you during a need period with a very attractive room rate. This is the most profitable application of personalized pricing. However, from a reactive perspective, personalized pricing can be quite dangerous. If there is a guest already interested in staying at your hotel, you need to consider the value and downfalls of offering that person a personalized rate. It doesn’t make sense to offer a discount to them, regardless of their value, just for the sake of offering them a personalized rate. We need to make sure we’re also taking price sensitivity into account. Another consideration about giving guests financial incentives to book with you is that once your competition catches on, you’re in a race to the bottom – devaluing your most valuable guests. So there is a lot of opportunity from a proactive/marketing perspective, but it is important hoteliers thoughtfully evaluate whether they can improve any reactive personalized pricing approaches that might be causing them to lose out on revenue. What key measurements should a hotel look at to enable a successful revenue management strategy? A successful revenue strategy blends the topline metrics we’ve primarily focused on for a long time with profitability. There is still something to be said for healthy topline revenue, so we won’t see Revenue Per Available Room lose its significance, but it should be balanced with Profit Per Available Room. Apart from metrics, you can judge a successful revenue management strategy by your scope, or what you’re able to manage effectively at any given time. At a minimum, you should be actively managing price, availability and overbooking for each day in the transient booking window. Ideally, you’re doing this by segment and channel for the next 365 days. Technology is key in allowing hoteliers to manage demand further out. Should revenue management be practiced by all hotel types and sizes? 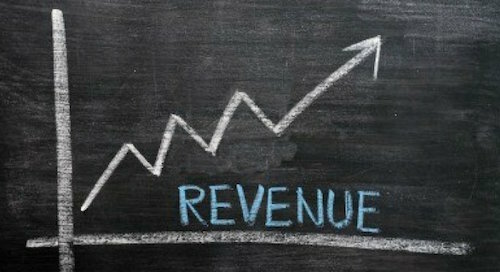 Does it make sense for a smaller hotel to invest their time and resources in revenue management systems and practices? Yes and yes! Every hotel faces the reality of having perishable inventory and fixed capacity in a competitive environment. Some hotels are competing with their neighbors, and other hotels are competing with “should I drive another 50 miles?” In each case, revenue management ensures the price matches the maximum value of your product relative to the alternative. Of course, you need to make sure your investment in revenue management matches the opportunity that exists for your hotel, and it depends a lot more on location and market than it does on room count. A 25-room hotel in midtown Manhattan is going to face similar challenges as a much larger hotel next door, and one might argue revenue management is more important for the smaller hotel as they have fewer rooms, and therefore a smaller margin of error. A hotel in a secondary or tertiary market will have fewer opportunities to leverage the benefits of revenue management, but they will face seasonal price sensitivity differences, capacity constraints and the need to maximize occupancy on busy nights while protecting shoulder nights. The core challenges of revenue management are faced by nearly every hotel, the difference is how often. As a simple place to start, I would encourage hoteliers to evaluate how often they have demand that exceeds capacity, and when there are opportunities to alter prices based on demand and price sensitivity and make an investment relative to those opportunities. I think hoteliers would be surprised at how inexpensive a revenue management system can be, especially relative to the ROI it can provide. Looking forward; what do you expect that the future is holding for hotels on the topic of revenue management? a) Revenue management has come a long way in the last decade, and now with the importance of revenue management being recognized by asset managers, owners, and CEOs, we’re reaching a certain level of maturity within the industry. The opportunities for revenue management are somewhat finite, and we’ll start to reach that point in the next couple of years where we’re optimizing the entire asset, and not just the guest room. The uncertainty is how will we do that – and how will it all be controlled? Will we control the asset as a whole as a function of the room rate? Or, is it better to optimize our outlets individually to allow for greater flexibility? Do we want top down or bottom up? These will be some of the key questions to answer in the coming years, and the answers may be different for each hotel. Technology, and how we use technology to solve these problems, will be a key to shaping the future. We’ll see people move to automation as the rule, and we’ll reach different levels of automation than what exists today. b) One thing I wonder about for the future is whether we’ll ever reach total revenue management maturity – the point where we sit back and feel comfortable we’re taking advantage of all of the opportunities that drive total revenue performance. Or, will the evolving dynamics of the hotel industry continue to provide us with challenges and new problems to solve? If we do reach revenue management maturity, how did we get there? The future of revenue management involves embracing its imperfection and uncertainty. The imperfect nature of revenue management is a part of its beauty. There are a lot of variables we simply can’t control, so our proactivity can only reach a certain level. At a certain point, revenue management is about reacting efficiently and effectively to shifts in demand and consumer behavior. Looking forward, we should measure revenue managers not only on how well they can anticipate the future, but also on how well they roll with the punches and take advantage of opportunities while minimizing losses. Nick Molitor has been with IDeaS – a SAS Company, the global leader in revenue optimization technology, since 2012. In his current role as Director of Account Management, Nick focuses on supporting the customer experience, building strong relationships and determining how IDeaS can help clients continue to grow profitability. Nick holds a Bachelor’s Degree in Hotel, Restaurant and Tourism Management from the University of Wisconsin-Stout, and has received the Certified Revenue Management Executive designation from HSMAI. 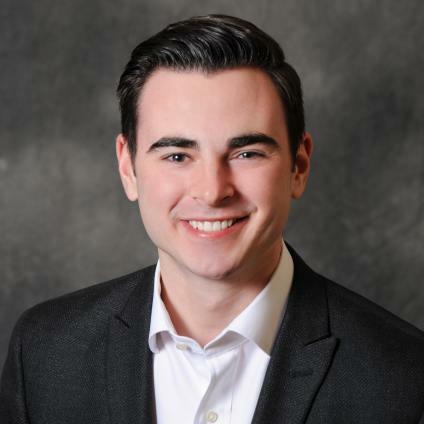 Nick is an active supporter of hospitality education and serves on the HSMAI Minnesota Board as Collegiate Chapter Liaison for the UW-Stout Chapter, which has earned six consecutive Best of the Best awards from HSMAI. Nick has been a guest lecturer at UW-Stout, Normandale Community College, and Minneapolis Business College.